Identifying smart solutions and sharing good practices between businesses and organisations, could make a tremendous difference. How? It would reduce workers’ exposure to carcinogens, and it would improve the survival of many workers today and tomorrow. 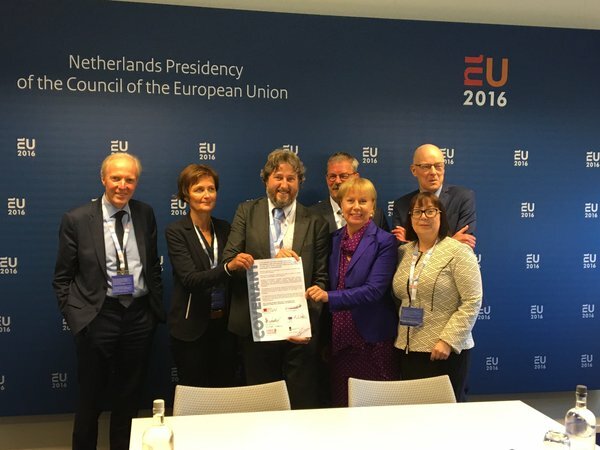 Across Europe, organisations join forces to make a change that is unstoppable. 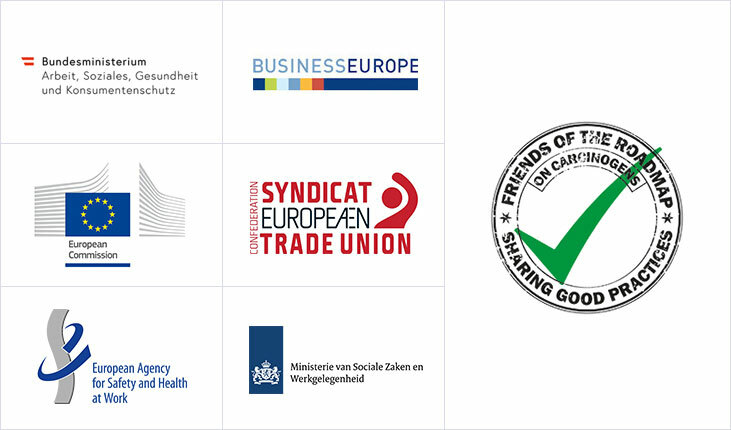 On May 25th 2016, six key European organisations took the initiative to develop a voluntary action scheme to raise awareness about the risks arising from exposure to carcinogens in the workplace and exchange good practices. This action scheme is titled “Roadmap on carcinogens”. Moreover, these parties signed a covenant to commit themselves to stay active for the next three years. One of the main aims of the Roadmap on carcinogens is to share good practices between companies and organisations. One of the main aims of the Roadmap on carcinogens is to share solutions between companies and organisations. We know that, across Europe, initiatives are already being taken by local companies and organisations to apply solutions and prevent or reduce carcinogen exposure. The aim of the Roadmap is to propel these solutions towards innovative practices that are used across Europe. Therefore, we encourage you to share your best practices and ideas about preventing and reducing exposure to carcinogens at work with the rest of Europe! The second important aim of the Roadmap on carcinogens is to encourage and help others to raise awareness and share knowledge. The roadmap will function as the hub of activities undertaken in industries, companies and governments. Start sharing knowledge by letting others know about any activities regarding the prevention of carcinogen exposure, that are being hosted near you. So, if you are organizing a meeting within your company or a local or (inter)national conference, you are invited to share the initiative on the activity calendar of the Roadmap. As more organisations and companies share their activities, we will see an increasing number of lightbulbs of knowledge appear on the map, so that all of Europe will become aware of actions and be enlightened by innovative solutions to prevent and reduce exposure to carcinogens at work. As we are building a community to raise awareness about carcinogen exposure and share our best practices, we need your support! Join the roadmap on carcinogens today, receive updates about the Roadmap, and become a member of a unique valuable community in which workers health, innovation and solutions go hand in hand across Europe. The Roadmap on carcinogens needs your ideas, your best practices, and your network. In return, you, your organisation or business and workers can benefit from the knowledge and activities that are shared within the Roadmap community. If you are willing to dedicate a few moments of your time, leave your contact information and become part of the Roadmap community today!